Like all other blog followers, I know I can get impatient when some of my favorite bloggers take a few weeks off from blogging. As a blogger, I understand that life gets busy and sometimes your blog gets put on the back burner. As a reader, I miss hearing from my regular bloggers. With that being said, I apologize for my absence over the last couple of weeks. To say life and work has been crazy is an understatement. To catch you all up, I thought I would give you all a quick recap on what you've missed! One of the weddings I've been planning (I was also a bridesmaid) went down without a hitch! It was such a blessing to be able to help one of my lifelong friends and sorority sisters plan the wedding of her dreams and stand by her side as she married the man of her dreams. Of course, we had to have one last night out on the town to celebrate her last night as a single lady! This weekend, my family and I celebrated my beautiful nieces' 2nd birthday then I wrapped up yet another "last" of my college career - homecoming. I was able to support my little sister in my sorority throughout her campaign for homecoming queen which was such a fun experience! In addition to Homecoming weekend, my school also celebrated their annual fundraising gala, Emerald Ball. This year was extra special with the help of one of our beautiful and talented Alumna, Carrie Underwood, who performed an acoustic set of her greatest hits for guests. Typically this gala is for faculty/staff and alumni of the university, however for this special occasion, 130 students were drawn and given the opportunity to attend this one-of-a-kind concert. As someone who has literally NEVER won a drawing in her life, you can imagine my surprise when I was chosen! Of course, Carrie was absolutely wonderful and sounded flawless. It was such an honor and blessing to be able to see her performance not only because she is a Grammy Award winning artist, she is also an alumna of my university and sorority sister! I finally finished the wedding invitations for my clients and was able to show them the finished product, and they loved them! Seeing smiles on clients faces, all of my hard work pays off and I instantly forget about the stress that can come along with it. As for their big day, the countdown has begun with less than a month till The Great Gatsby extravaganza! Wish me luck! A recent post by Believe in the Sparks triggered something in me and encouraged me to truly think about this chapter in my life. I feel like it is something a lot of twenty-somethings, recent college graduates and Type A personalities deal with. Not living in the moment. Until recent discoveries, I thought that meant I had a plan. If you know me, you know how important it is for me to have a plan, to always have my next step mapped out in life. Why? It beats me. Don't get me wrong, I have tried to be more spontaneous and fly by the seat of my pants as I see so many of my friends do and it just leaves me uneasy. More struggles of being a Type A personality. I spent the first two years of college really... enjoying my experiences, if you will. It seems as if the moment I was informed I had to figure out "what I wanted to be when I grew up" all sense of carelessness went out the window (along with my unhealthy obsession for heavy eyeliner- praise The Lord!). Fast forward two years and I am baffled at where the time went, imagine that! "You can do this! Why not? You have the rest of your life to say no! It will be fun, I promise!" With that being said, I am making a new promise. I am going to live more in the moment. Whether that means flying by the seat of my pants or typing out bulleted to-do lists for my day, who knows. As long as I stop to enjoy my days, each and every one of them. -when are you getting married? -what are you doing after graduation? -what can you do with that degree? -when do you plan to lose your freshman 15? "WHATEVER AND WHENEVER IT HAPPENS! I've got the rest of my life! Right now I'm young, broke (compared to any standard other than that of a college student) and [attempting to be] careless." In the spirit of celebrating the 25th anniversary of one of the most monumental movies of all time, Steel Magnolias, I thought it would be fitting to write about the 1989 blockbuster. Steel Magnolias tells the lives of six southern women as they go through love, laughter and loss. Both heartwarming and heart wrenching, it is no mystery why this film still hold a true following 25 years later. 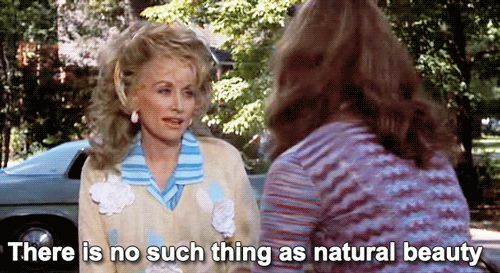 I admit that I shamelessly know nearly every line spoken by the famous cast of Steel Magnolias. I have been watching it since God was a boy and I didn’t think there was anything I didn’t know about the movie, until I did a little research today. Did you all know that it is based on a true story? I know I most certainly did not! Writer, Robert Harling, was inspired to write the story in honor of his sister and nephew. Much like the film, Harling’s sister passed away in 1985 due to diabetic complications, leaving behind her two-year-old son, Robert. "If you don't have anything nice to say, come sit by me"
In every circumstance, take food. If you have to ask if you should, the answer is yes. Remember, Red beans and Rice is in the “freezes beautifully” section of your cookbook. Time marches on, and eventually you realize it's marching across your face. Everything is bigger and better in the South, and holidays are no exception. Gardening is an important aspect of southern living. God don't care what church you go to as long as you show up! 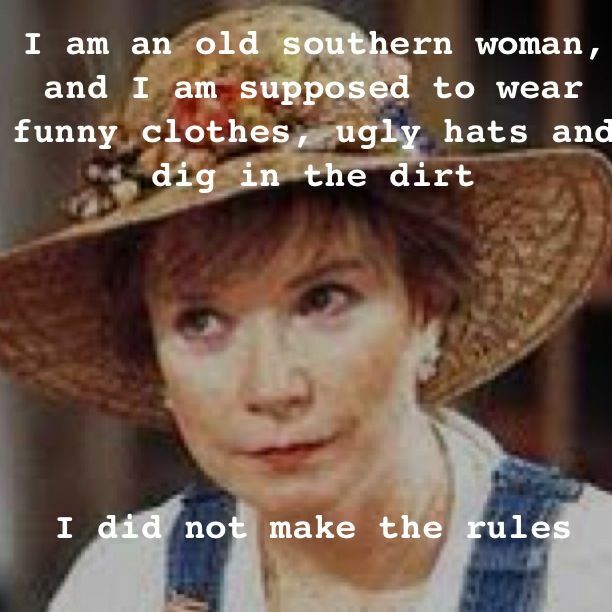 Last, is a deeper lesson we all learn from Steel Magnolias. This movie taught us to always remember that life is a precious gift that should be lived fully and cherished deeply. One of Julia Robert's lines, "Id rather have 30 minutes of wonderful than a lifetime of nothing special," proves just that. Robert's character, Shelby, did not let her medical condition hold her back from achieving her dreams nor did her friends and family hold back from living wonderfully each day. It also taught us that people are a precious gift. The six women in Steel Magnolias are true examples of friendship. Until now, I haven’t been able to go into much detail about my wedding planning extravaganza, frankly for lack of time. Well, I have realized that I will never have time unless I make time. When this opportunity landed itself at my feet, by fate, I was overwhelmed by two feelings. First, I felt extremely excited. Then the anxiety set in. I had 76 days to create the event of the decade. To a regular planner, this would be hardly challenging, but to a newbie…Lord have mercy. I shouldn’t say this too soon but everything has gone well so far. I think the most stressful part was making my first call to a vendor and introducing myself as an event planner. At first it didn’t exactly feel natural, but I am happy to announce it is starting to roll off the tongue at little sweeter. I am so excited to see all of my hard work coming together! It’s even getting hard to shut my mind off at night long enough to go to sleep for a few hours, I am sure other event planners can relate.